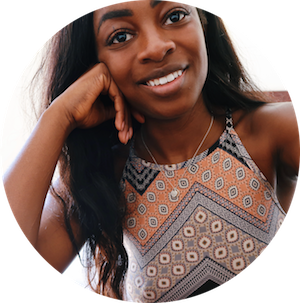 It’s time for another instalment of the Digital Nomad Series on Effy Talks Life! 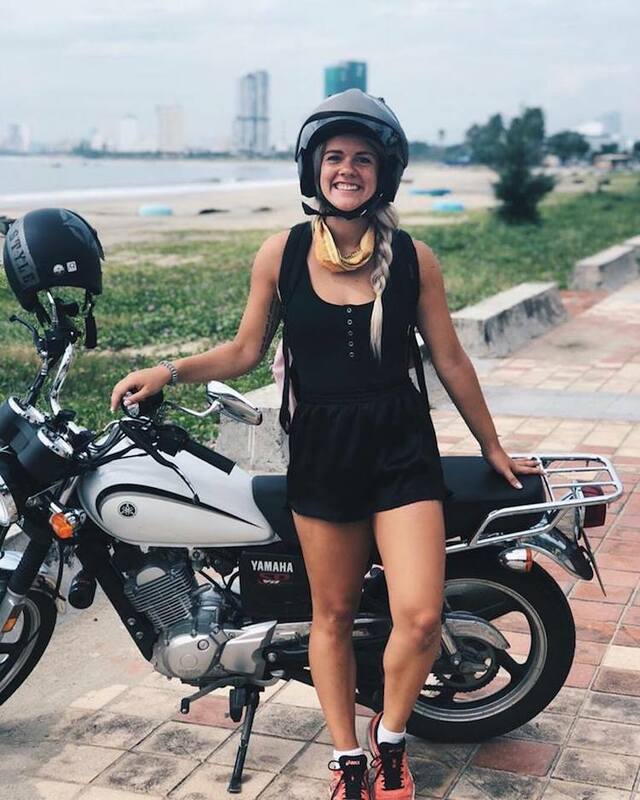 The series focuses on badass women who are travelling the world and working too. Last month I chatted with Megan Snedden about how to get your break as a budding travel photographer and her newest project The Kind Effect. This week we’re going to shake things up a bit. Today’s blog post marks the first time I’ve interviewed a real life a friend on here. 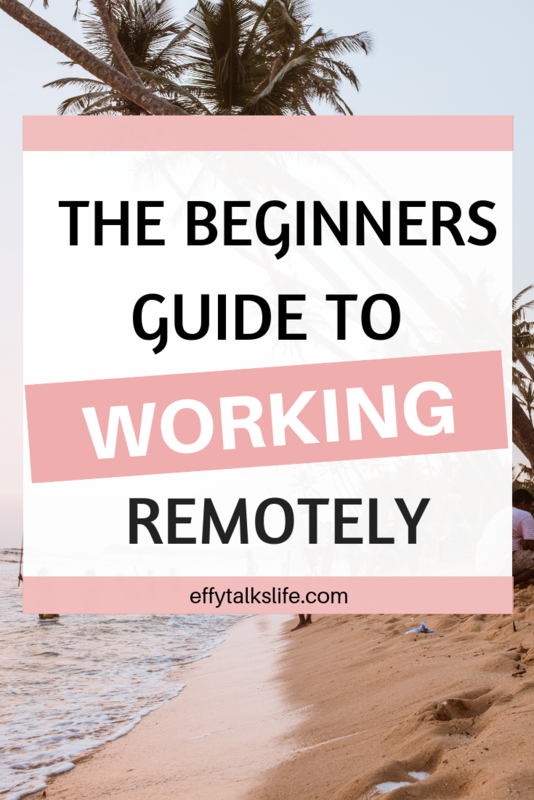 And it’s also a first for the Digital Nomad Series too, because this is the first time we’re going to hear about the steps to take to turn an existing 9-5 job into working remotely and living abroad. It seems like a lifetime ago since we last saw each other but I’ve been following your journey/travels pretty closely while you’ve been gone. For those of us who aren’t avid internet stalkers can you tell us a little bit about yourself? Haha, sure! I’m a buddha bowl and coffee enthusiast who goes by Vicky or Vic. You’ll usually find me with a pink backpack attached to me at all times. I’ve spent the last year travelling full time while working in copywriting, blogging, and social media management and my primary employer is a beauty supply company based in Melbourne, Australia. I’m still in the early stages of my digital nomad journey. I finished uni in 2015. I guess you could say it took me three years post-grad to fall in love with travel and digital marketing – in 2018 I figured out how to merge the two by working remotely abroad. When we met we were both working in rural Australia (a story for another time). So to go from there to city life to, well, the world is quite a big shift. Can you take us back to how you get started? The truth is remote working / digital nomad-ing was a really happy accident for me. Shortly after I finished uni, I fell head over heels for an Australian man. The accent, the smile, the outrageous slang – loved it. I soon found myself moving across the world to stay with him. This was my first major trip outside of North America – go big or go home right? The relationship didn’t turn out the way I planned, but I soon found myself with a new infatuation… for travel. 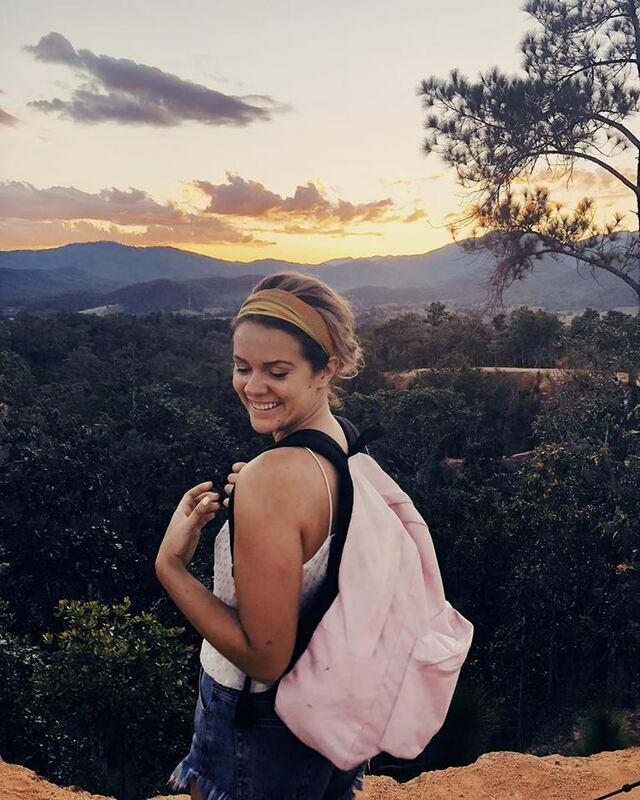 A single 23 year old chick in the middle of Australia – I had no plans or people to factor in. Realising I could choose to feel scared sh*tless or weightless and ecstatic I chose the latter. I moved to Melbourne and found a one month data entry job with a beauty wholesaler. My boss and coworkers quickly became my family and my contract was extended. Considering data entry was never my calling, I approached my boss with marketing aspirations and mentioned my background in journalism. He happily expanded my role. I started contributing to the company’s marketing strategy, writing content and managing social media. A few months later, I found myself torn between work and travel. I had a tempting opportunity arise to join my mates who were travelling in the Philippines. I was sure I’d have to choose between giving up my job and going travelling. When I confided in my coworkers about my conundrum, they pitched the idea of working remotely and living abroad. Through trial and error, we learned what parts of my job were best suited to this new setup. I’m now entirely web-based under the title “Digital Content Strategist.” Almost a year and eight countries later, I’m still working for the same wonderful team. Shoutout to my boss for being a legend. It seems to me that you’re very confident with making new beginnings wherever you end up – have you always been travel hungry? The first time I stuck it out and stayed outside of my comfort zone was a really big deal for me. After finishing uni I moved across Canada to do a snowboard season in Whistler. Three weeks in, I nearly bailed. I missed my friends, my family and my comfortable routine. I’ll always be proud of myself for pushing through and acclimating. I know the feeling before my first solo trip there were so many times when I just wanted to cancel the whole thing, it just seemed so… big. Do you find that after that first trip those feelings have lessened? I actually spent the first three months of working remotely and living abroad feeling lost. I have a terrible sense of direction, so being physically lost is nothing new to me. However, in this case, I felt lost in terms of purpose. Though I didn’t necessarily struggle as much with being homesick new problems emerged. Being able to work anywhere in the world is a huge win, but it does lack structure. I found myself treading water in a pool of indecision. Throughout my time in Bali, Malaysia and Singapore I struggled to feel connected to anything. I would spend my weekdays staying in Airbnb’s and working in cafes. My weekends were spent in hostels, trying to find pals and be a fun human. I kept meeting backpackers who were on short vacations. Their priorities just didn’t line up with mine. Most of the travellers I’d meet were only keen to get drunk and party all the time or would be in town too quickly for me to foster a real friendship. It can be isolating being a digital nomad, to have to turn down social opportunities and be your own boss. Working remotely and living abroad definitely sounds challenging. It adds a whole other dimension to being homesick. For someone going through similar struggles, what would your advice be? 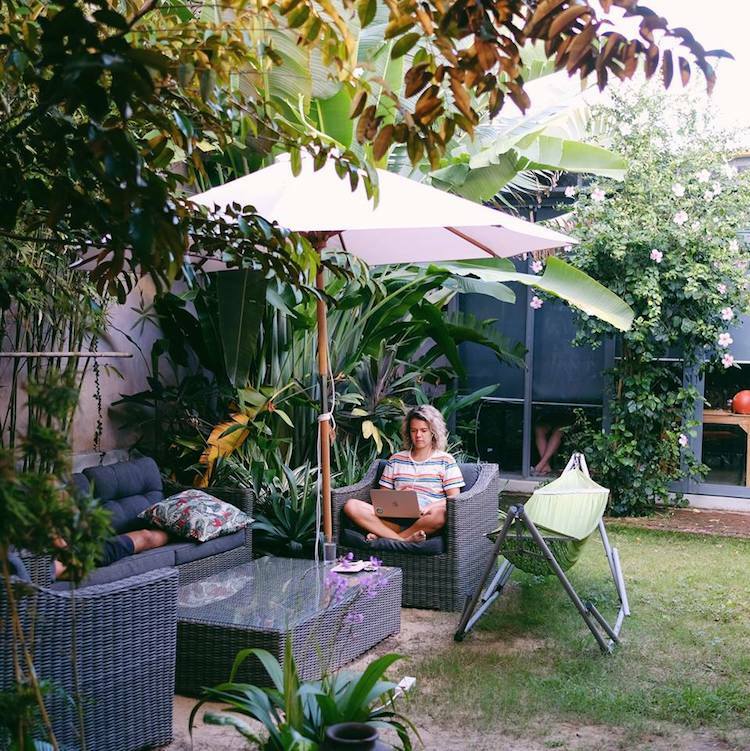 For anyone else who finds themselves working remotely and living abroad without a real sense of belonging, I highly suggest seeking out a coworking space (check out coworker.com)! I’d previously heard of coworking spaces, in the form of major chains like We Work. It’s not that I wasn’t interested, I just saw them as a tool for small business owners in major cities. Little did I know that coworking communities existed all over the world, in remote towns and exotic destinations. 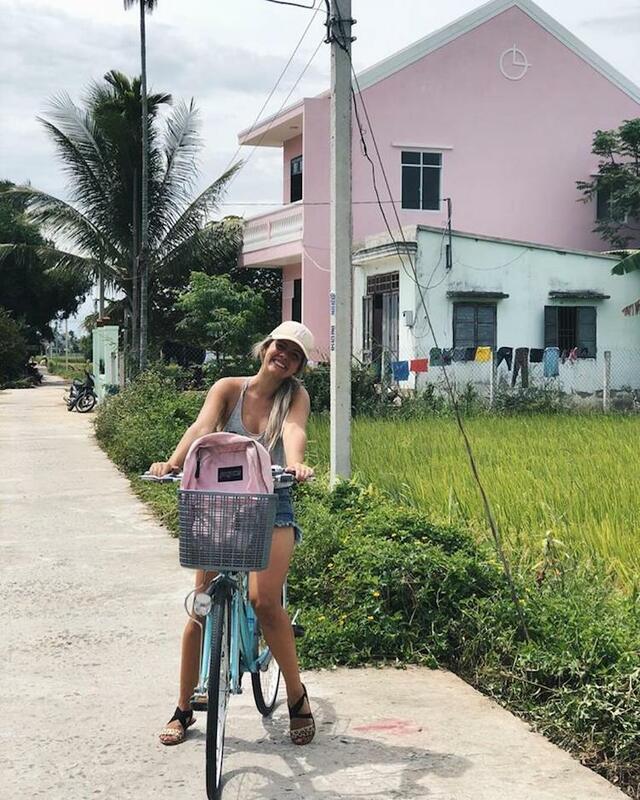 When I arrived in the adorable town of Hoi An, Vietnam, I decided I wanted to stay put for a month. After a friend’s encouragement, I checked out a luscious coworking space called The Hub. Picture it like your artsy-friends-cool-brother’s place, with a wicked back garden and coffee counter. The Hub feels as much like a home as it does an office. With a bubbly community manager, outgoing evening event planner and two culinary gods on staff, the Hub has the perfect cast of characters for a successful coworking space. I quickly made like-minded friends, all of whom had entrepreneurial spirits. They wanted to get more out of their weekends than healing hangovers. I didn’t have to explain my work schedule or travel preference to any of them – they had the same. My month at the Hub flew by, but I’ll always remember it as my first coworking space. 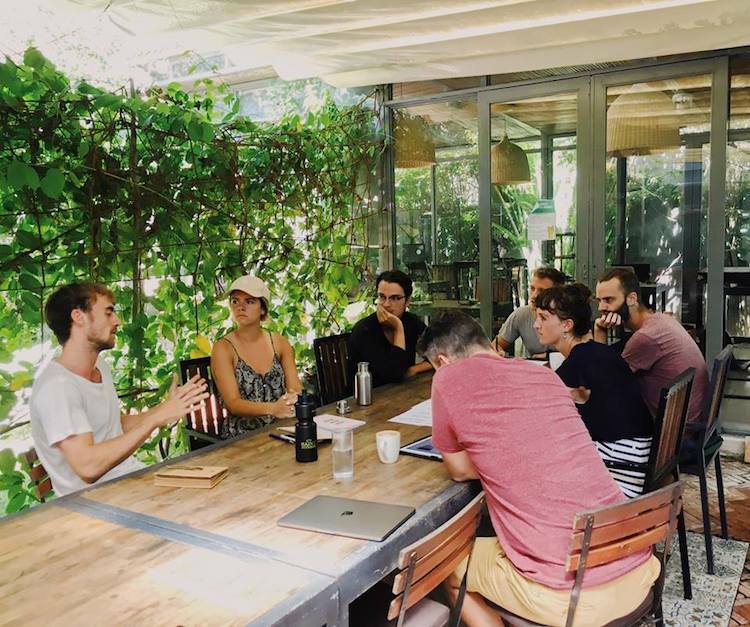 The Hub was the catalyst I needed and the reason I now love being a digital nomad. I’m glad there’s a happy ending we were on a bit of rollercoaster for a while there, thank you for sharing what you went through. I’m sure a lot of people working remotely and living abroad can relate. On the other side of things for someone who’s thinking about asking their boss to work remotely how do you recommend they start the conversation? First of all, come at the conversation with a tone of compromise. Depending on your boss, remote working may or may not be a new concept to them. Either way, I’d bring up the idea far in advance of your travel plans. Presenting it as an option rather than a make or break will give your boss a chance to consider it without feeling pressured. Wrapping it up are there any other nuggets of wisdom you’d like to add about digital nomad life? If you’re interested in working remotely and travelling, you’ve got to become comfortable being the main character in your own life. Understand that you’ll feel lost at times, but don’t let that hold you back. Just because you’re working remotely doesn’t automatically mean things are going to run smoothly. Your routine disappears. Of course, that’s one of the most appealing parts of it, but it definitely takes some getting used to! It takes time to find your footing in a new country and getting accustomed to working remotely in another country. I strongly recommend giving yourself permission to move slowly. If you find a town you love, enjoy it. Keep networking along the way so you’ll have connections to approach if your work runs dry. Lastly, stay confident in your choice to work remotely. It can be tough to explain to older generations because it’s not an A-typical working structure. But hey, who wants normal anyway? You can follow Vic over on her blog and on Instagram. What about you guys? Have you ever considered working remotely and living abroad? Do you already?